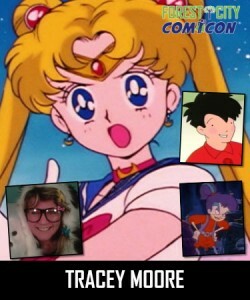 Tracey Moore, the original English voice of Sailor Moon, will be appearing at Tsukino-Con this weekend, February 13th to the 15th, at the University of Victoria in Victoria British Columbia. Though she was not the voice of Sailor Moon for very long, she was the first to have the role. Tracey Moore provided the voice of Sailor Moon for the first 11 dubbed episode as well as two others, Dangerous Dollies and Jupiter Comes Thundering In. During this short time she not only provided the voice of Sailor Moon but also acted as the voice director for the series. 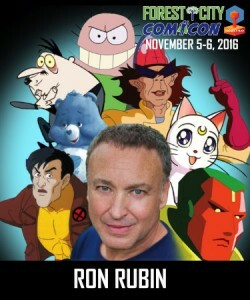 Roland Parliament, the voice of Melvin and author of Sailor Moon Reflections, filled in as voice director once she left. 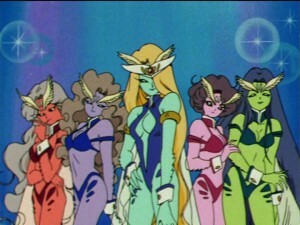 Tracey Moore also voiced one of the Doom and Gloom Girls, the monsters who killed the Sailor Scouts at the end of the first season. Also appearing at the convention is Kyle Hebert who recently voiced the Priest and Rainbow Crystal carrier who turned into the monster Boxy in Viz’s English dub of Sailor Moon.